How Does a Bankruptcy Affect Credit After 2 Years? A bankruptcy may remain on your credit report for seven years. 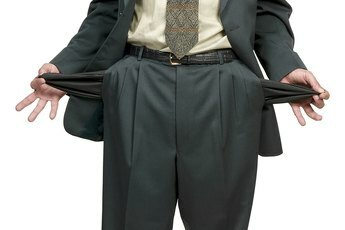 During bankruptcy, you other erase your debts or enter into a debt settlement agreement with your creditors. When this occurs your credit score plummets because creditors are not keen to lend money to someone who has just defaulted on all of his debts. Two years after your bankruptcy, your credit score may look a little rosier but the bankruptcy may continue to haunt you for several years to come, which can make it difficult to get mortgages and credit cards. When you file Chapter 7 bankruptcy all of your debts are erased but you also have to sell your assets to settle as much of the debt as you can. Some items such as a car you use to commute to work and some personal belongings may be exempt from the sale. With Chapter 13 bankruptcy, you enter into an agreement with your creditors through which you attempt to settle your debts over a period lasting between three and five years. 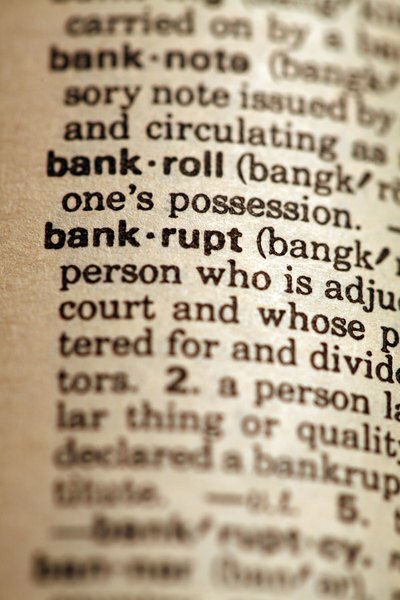 The bankruptcy process ends or is discharged at the end of this period. 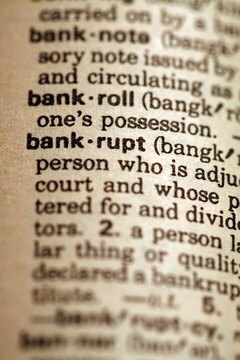 You can typically keep your home and car when you file for bankruptcy protection under Chapter 13 as long as you have a steady source of income. Negative credit events such as late payments or charged off credit cards remain on your credit report for up to seven years. Chapter 13 bankruptcy also remains on your report for seven years although Chapter 7 stays on there for 10 years. Recent credit events ranging from on-time payments to bankruptcies have more of an effect on your score than older events. 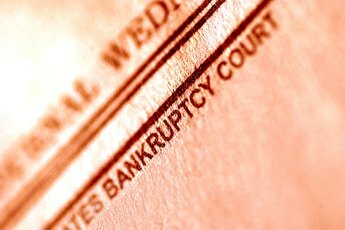 After two years, your bankruptcy will still be visible but it won't have as much effect on your actual score as it did when it first occurred. The more positive account activity you have the less harm a bankruptcy can do to your score. In the immediate aftermath of a bankruptcy, all of your debts are discharged so no active accounts appear on your report. Chances are that you won't be able to get an unsecured credit card for at least a few years but you can take out a cash secured loan or credit card to bolster your score. You deposit a sum of money equal to the loan or line amount at the bank and the bank can keep this cash if you fail to pay off the debt. Cash secured debts are reported to credit bureaus so you can help to restore your score by making timely payments. Although bankruptcies remain on your credit report for up to 10 years, the two year mark is significant for mortgages. You can obtain a Federal Housing Administration insured mortgage within one year of your chapter 13 bankruptcy being discharged if you have some kind of extenuating circumstance. People who file for bankruptcy after becoming overwhelmed by medical bills are often able to take advantage of this rule. If you don't have an extenuating circumstance you can apply for an FHA loan within two years of Chapter 7 or 13 bankruptcy being discharged. Mortgage firms such as government backed Freddie Mac allow to you apply for a mortgage within two years of having a Chapter 13 filing either dismissed by the courts or discharged. You have to wait for four years after a discharge of a Chapter 7 filing before you can get a Freddie Mac loan. While government backed Freddie Mac and the FHA have set rules on credit after bankruptcy, no such rules exist when it comes to car loans or credit cards. Some lenders may simply refuse to extend you credit within two years of your bankruptcy. You can improve your chances of getting a car loan if you make a hefty down payment. Credit cards and loans are also easier to get if you have a cosigner with good credit. Store credit cards with low line limits are often easier to get than major credit cards. You should be prepared to pay a much higher interest rate than you paid pre-bankruptcy. Over the long run, your credit score will improve if you pay these bills on time and that should mean you eventually get access to lower interest rates. 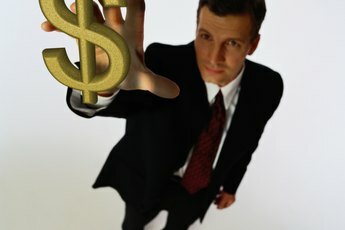 Is Personal Bankruptcy a Good Idea? Can You Get Credit Cards After Filing Chapter 13?